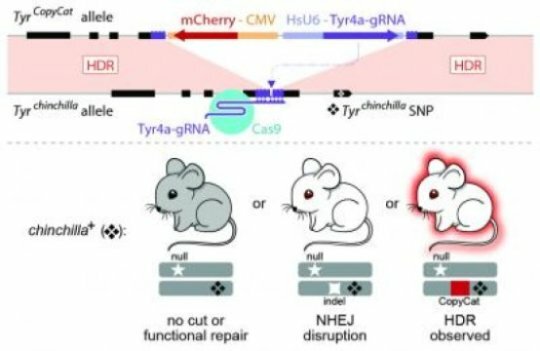 Using active genetics technology, biologists have developed the world's first CRISPR/Cas9-based approach to control genetic inheritance in a mammal. The achievement in mice lays the groundwork for further advances based on this technology, including biomedical research on human disease. Future animal models may be possible of complex human genetic diseases, like arthritis and cancer, which are not currently possible. Cooper and members of her lab are now springboarding off this first mammalian active genetic success -- based on a single gene -- and attempting to expand the tool to multiple genes and traits. Former UC San Diego Postdoctoral Fellow Gunnar Poplawski (co-first author, now at the National University of Singapore) and Staff Research Associate Xiang-ru Xu also contributed to the study.